Insight into the world of ubiquitin has expanded considerably over the past decade and ubiquitin conjugation to proteins is known to be involved in controlling major biological processes. Our main goal is to better understand ubiquitylation/deubiquitylation events in health and disease to identify novel biomarkers and therapeutic targets for precision medicine. Ubiquitylation is a rapid, reversible and versatile post-translational modification, directing proteins to a myriad of fates. A key regulatory step of the ubiquitylation cascade is dictated by the E3 ubiquitin ligase which confers substrate selectivity. The reversibility of this post-translational modification is driven by deubiquitinating enzymes responsible for removing ubiquitin conjugates from substrates. While best known for targeting proteins to proteasomal degradation, ubiquitylation is also used for proteolytic-independent functions. Of note, alteration of the ubiquitin pathway results in human disease pathogenesis including cancer, muscle disorders or inflammatory and infectious diseases. Importantly, components of the ubiquitin system are amenable to pharmacological manipulation. 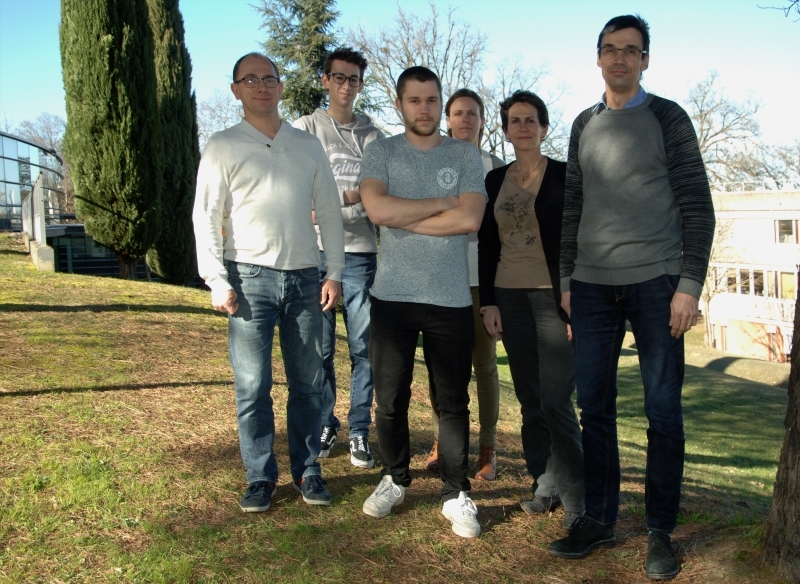 A main objective of our team is to decipher the roles of the ASB2 E3 ubiquitin ligases in physiological and pathological settings using state-of-the-art mouse mutant models as well as cellular and molecular approaches. The ASB2 gene was initially identified by our group as a retinoic acid-responsive gene deregulated by the PML-RARα oncogenic protein in leukemia cells. ASB2 encodes two protein isoforms, ASB2α and ASB2β, that are the specificity subunits of Cullin 5-RING E3 ubiquitin ligases suggesting that ASB2 proteins exert their effects through the targeting of specific substrates for degradation by the proteasome. Investigating ASB2-ASB2 substrate axes will provide important mechanistic insights into the contribution of the ubiquitin pathway to major biological functions that could be exploited in therapeutic purposes. Asb2α-filamin A axis is essential for actin cytoskeleton remodeling during heart development. Odile Burlet-Schiltz, Stéphane Zaffran, Pierre G. Lutz* and Christel Moog-Lutz*. Novelty and Significance: This study sheds light on the mechanisms determining the onset of myocardial cell architecture and its link with early cardiac function in mice. Indeed, the results support a novel model of cardiac cell differentiation that relies on a key role for the Asb2α E3 ubiquitin ligase in remodeling the actin cytoskeleton through induced-degradation of the actin-binding protein Filamin A. Filamin A was previously reported to be required for heart function and, in humans, Filamin A mutations are the cause of the most common genetic heart valvular disorder. Our data now reveal that the timely controlled removal of Filamin A ensures critical functions in differentiating cardiac muscle cells and mark an intermediate stage between cardiac progenitors and mature cardiomyocytes named immature cardiomyocytes. We propose that Filamin A degradation is necessary to modify the actin cytoskeleton organization and properties in order to build the sarcomere, and thus for heartbeats. Together, our data uncover an unsuspected role for the Asb2α-Filamin A axis in heart development and put the regulation of the actin cytoskeleton at the core of cardiac cell differentiation. We anticipate that our findings have potential for translation into the clinics as they may help developing novel strategies for cardiomyocyte generation for heart regenerative purposes. Métais A et al. (2018) Asb2α-Filamin A axis is essential for cytoskeletal remodeling during heart development. Circulation Research 122:e34. This is short list of our main publications. Download a complete list of the papers of the team. Download the complete list of the P.G. Lutz. Métais A et al. (2018) Asb2α-Filamin A axis is essential for cytoskeletal remodeling during heart development. Circulation Research 122: e34. Thottakara T et al. (2015) The E3 ubiquitin ligase Asb2β is downregulated in a mouse model of hypertrophic cardiomyopathy and targets desmin for proteasomal degradation. Journal of Molecular and Cellular Cardiology 87: 214-224. Spinner CA et al. (2015) Substrates of the ASB2α E3 ubiquitin ligase in dendritic cells. Scientific Reports 5: 16269. Lamsoul I et al. (2013) ASB2α regulates migration of immature dendritic cells. Blood 122: 533-541. Razinia Z et al. (2011) The E3 ubiquitin ligase specificity subunit ASB2α targets filamins for proteasomal degradation by interacting with the filamin actin-binding domain. Journal of Cell Science 124: 2631-2641. Lamsoul I et al. (2011) Functional and structural insights into ASB2α, a novel regulator of integrin-dependent adhesion of hematopoietic cells. The Journal of Biological Chemistry 286: 30571-30581. Burande CF et al. (2009) A label-free quantitative proteomic strategy to identify E3 ubiquitin ligase substrates targeted to proteasome degradation. Molecular & Cellular Proteomics 8: 1719-1727. Bello NF et al. (2009) The E3 ubiquitin ligase specificity subunit ASB2β is a novel regulator of muscle differentiation that targets filamin B to proteasomal degradation. Cell Death and Differentiation 16: 921-932. Luissint AC et al. (2008) JAM-L mediated leukocyte adhesion to endothelial cells is regulated in cis by α4β1 integrin activation. The Journal of Cell Biology 183: 1159-1173. Heuzé ML et al. (2008) ASB2 targets filamins A and B to proteasomal degradation. Blood 112: 5130-5140. Heuzé ML et al. (2005) ASB2 is an elongin BC-interacting protein that can assemble with cullin 5 and rbx1 to reconstitute an E3 ubiquitin ligase complex. The Journal of Biological Chemistry 280: 5468-5474. Moog-Lutz C et al. (2003) JAML, a novel protein with characteristics of a Junctional Adhesion Molecule, is induced during differentiation of myeloid leukemia cells. Blood 102: 3371-3378. Lutz PG et al. (2002) Signaling revisited in acute promyelocytic leukemia. Leukemia 16: 1933-1939. Guibal FC et al. (2002) ASB2 inhibits growth and promotes commitment in myeloid leukemia cells. The Journal of Biological Chemistry 277: 218-224.